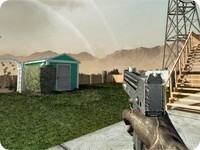 MAC11 - Call of Duty: Black Ops Guide! The MAC11 has relatively low recoil, and moderate damage comparable to most other SMGs in Call of Duty: Black Ops. It also features the shortest reload time out of all the SMGs when not usingreload cancel. The speed of switching to the secondary weapon at .42 seconds is faster than most other SMGs as well. 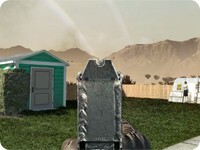 Rapid Fire can be a very effecive attachment to use with the MAC-11, due to it's low recoil. However, the magazine will be emptied quite rapidly while using this attachment. Using Sleight of hand and Scavenger combined with it's already fast reload will counter some of these disadvantages. The use of Extended Mag and Grip via Warlord is a good pair as the MAC-11 will have the 30 round magazine it needs but also will have virtually no recoil, this also is good as the MAC-11 dosen't need Sleight of hand as it has a fast reload at 2.1 seconds. 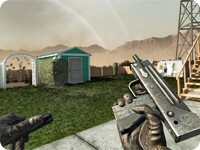 Despite its decent stats, the MAC11 is generally overlooked by players due to the more powerful or popular submachine guns in the game, such as the AK74u and the Spectre.